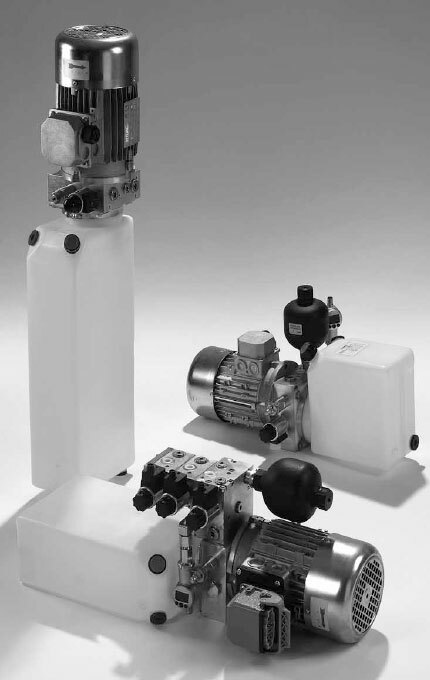 Compact power units are the most compact form of hydraulic supply. They have minimum installation dimensions and high flexibility in the layout for the customer. Thanks to small flange dimensions and the optional equipment with stacking modules, adjustment of the unit are possible to accommodate any installation position. It’s even possible to expand it with new functions at any time. Depending on the available installation space, the control can be flanged-mounted directly to the power unit or integrated as a single stacking module near the consumers. In order to cover the various applications, HYDAC compact power units are available in various forms. Water cooling is also available as an option for one power unit.